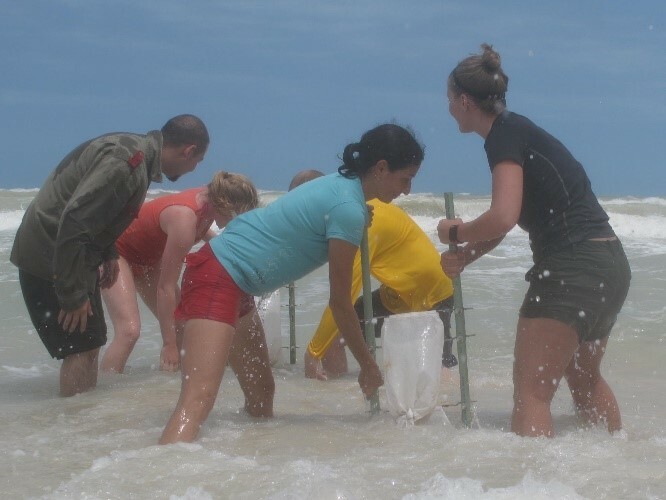 Current research in the Coastal Studies Lab in the Department of Geosciences at FAU includes a variety of projects involving coastal morphodynamics and sedimentology, through both field and laboratory investigations. 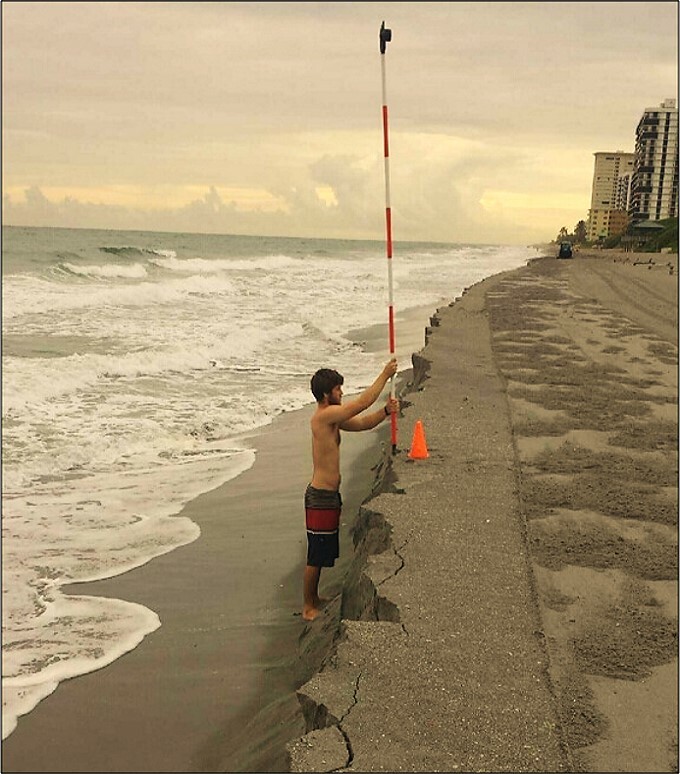 Spatio-temporal variability (and storm impact/recovery): Beach morphology changes are continuously monitored and analyzed using an array of survey methods along Palm Beach and Broward Counties (in southeast Florida). Field efforts to quantify coastal morphology change are an important component of all research conducted in the Coastal Studies Lab, and include studies on storm impact and recovery (e.g., following cold fronts and tropical storms/hurricanes). [Briggs: Office of Undergraduate Research and Inquiry (OURI) Summer Undergraduate Research Fund (SURF), 05/2016-08/2016; Briggs, Hart, and Rubio: FAU OURI Undergraduate Research Grant, 01/2017-03/2017]. Beach nourishment: Morphologic evolution following beach nourishments are evaluated to determine the influence of anthropogenic modifications to the coast. 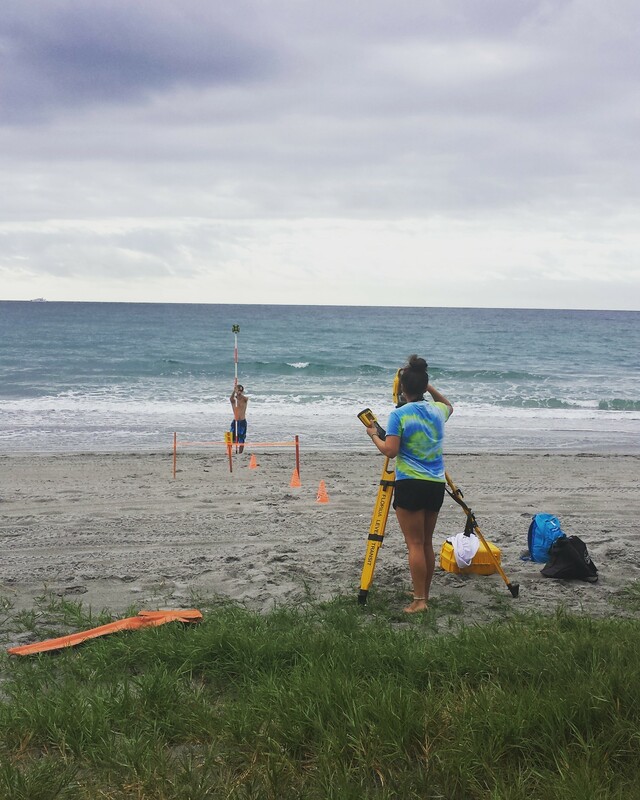 Profile equilibration and lateral spreading of a recent nourishment project in Boca Raton beach is the subject of a current study. [A partnership with the City of Boca Raton]. 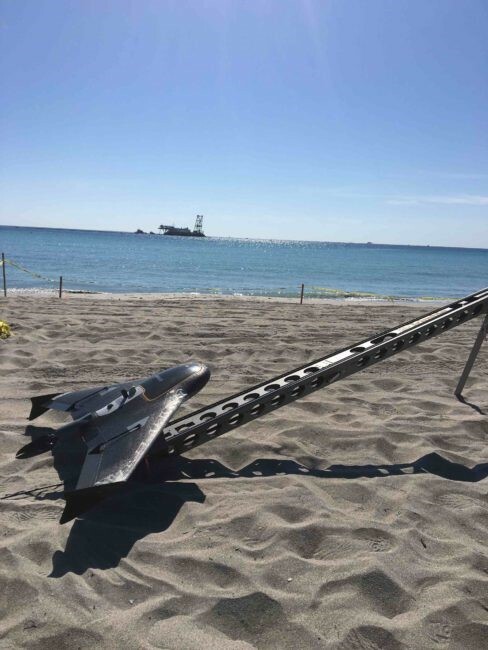 The Boca Raton beach restoration project is also being monitored via coupled Unmanned Aerial System (UAS) and topographic surveys to evaluate the efficacy of remote sensing techniques for coastal change. [Collaboration with James Gammack-Clark (FAU Geosciences) and the City of Boca Raton]. 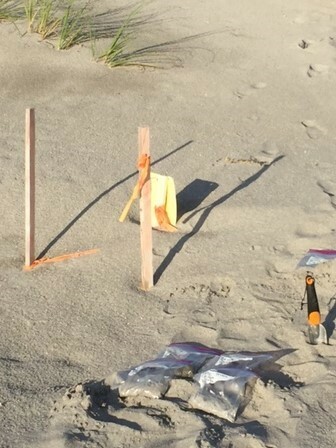 This study was featured in Inside Unmanned Systems: http://insideunmannedsystems.com/trimble-ux5-monitors-beach-restoration-efforts/ . Coastal flooding, beach temperatures, and sea turtle nesting: Critical knowledge gaps exist in understanding the role of beach morphology and coastal flooding on sea turtle nest inundation. A collaborative research project with co-PI Dr. Sarah Milton (FAU Dept. of Biology) examines some of the risks of coastal flooding (storms, SLR) on the terrestrial phase of the sea turtle life cycle (i.e., nest inundation), determine how variations in beach morphodynamics (including changes due to storms) impact critical turtle nesting habitat in South Florida, and evaluate the correlation between flooding, beach morphology, and subsurface sediment temperatures with potential ecological risks to sea turtle nests. [Briggs and Milton: FAU Kelly Family Foundation Undergraduate Internships in Coastal Affairs (UG researcher: Renstrom), 05/2018-12/2018; FAU OURI Summer Undergraduate Research Fund (SURF) (UG researcher: Grell), 05/2018-08/2018; Walter and Lalita Janke Innovations in Sustainability Science Research Fund, 06/2016-12/2017]. Relationship between Nearshore Morphology and Blacktip Shark Behavioral Patterns: The large, well-documented, migration of Blacktip sharks (Carcharhinus limbatus), an apex marine predator, along the Western Atlantic coast to their over-wintering grounds in Palm Beach County has been tied to temperatures driving the arrival and departure, however, little is known about the actual shark movement within these large aggregations or abiotic factors that may be driving aggregation formation. 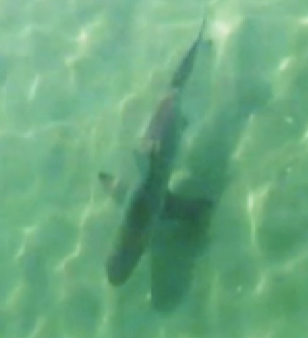 This study is a collaborative effort with shark experts Drs. Porter and Kajiura (FAU Biological Sciences) to determine the relationship between nearshore geomorphology and blacktip shark migration and aggregation formation as well as their behavioral patterns and swimming mechanics. [Porter, Briggs, Kajiura: FAU College of Science Initiative to Stimulate Extramural Research Funding, 05/2018-12/2018]. Storm-induced transport (and morphology change): A multi-institutional collaborative study (with Dr. Jack Puleo, UDel and Dr. Alec Torres-Freyermuth, UNAM) on the nearshore coastal dynamics on a sea-breeze dominated microtidal beach in Sisal Mexico used streamer traps to evaluate sediment transport patterns during a Norte event (i.e., cold front). This research has been expanded to include transport during cold fronts along a south Florida beach. [Puleo and Torres-Freyermuth: UNAM, 01/2013-12/2015]. Influence of borrow source on sea turtle nesting patterns: Over thirty miles of dynamic, and critically eroded, coastline in Palm Beach County hosts some of the highest density sea turtle nesting locations of Green, Leatherback, and Loggerhead sea turtles. In this study, characteristics of various sediment sources used in beach and dune restoration projects are evaluated with substrate temperature variability and morphology change to determine whether different sediment sources influence sea turtle nesting and hatching success rates. [A partnership with Palm Beach County Environmental Resources Management Department, Sea Turtle Tag Grant 15-016R, 2015]. Effects of Freshwater Dumping on Water Quality and Sediment Distribution in South Florida Estuarine Canal System: Heavy precipitation and flooding often result in water and sediments drainage through the extensive canal systems in South Florida. This study is a collaboration with Dr. Tara Root (Geosciences) and two undergraduate students who are working to quantify physical sediment characteristics and concentrations of nutrients (P and N) within the sediment from canal control structures, determine the spatial and temporal variability of nutrient concentrations in the water, estimate the distance that sediment and dissolved nutrients travel downstream from the control structures with freshwater discharges, and identify associated changes in turbidity. [Briggs/Root and Wu/Siluk: FAU OURI Undergraduate Research Grant, 08/2018-12/2018]. Saltwater migration: In an effort to understand the variability in susceptibility of various coastal environments to SLR or storm surge, a collaborative study with Dr. Xavier Comas (FAU Geosciences) uses ground penetrating radar (GPR) to identify shallow subsurface lithology and saltwater migration due to tides across the beach and other coastal environments. [Briggs and Comas: FAU Faculty Research Mentoring Program, 03/2016-03/2017]. Resiliency: Nature-based shoreline stabilization options have the potential to enhance ecosystem services in estuaries and other sheltered tidal environments impacted by urban development and shoreline hardening. 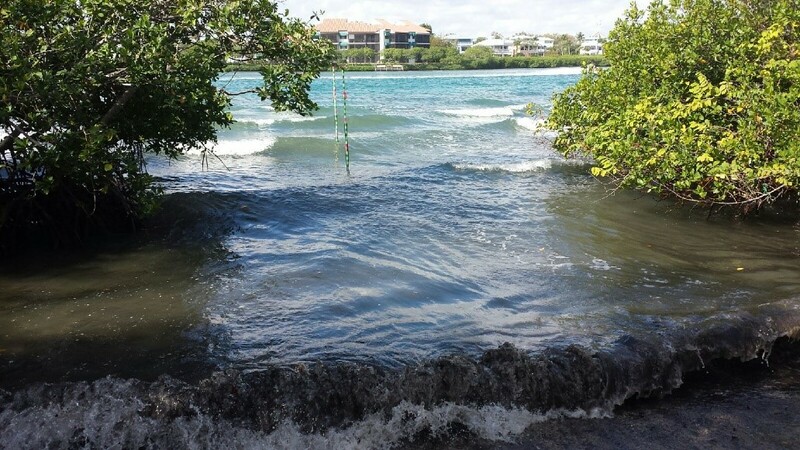 A collaborative study with Dr. Diana Mitsova (FAU, Urban Planning, and Design) investigates the impact of boat wakes along a natural, mangrove-lined back barrier shoreline in the Intracoastal Waterway, located in Southeast Florida.